Ergonomic Adjustable Workstation – RDM Industrial Products, Inc.
Based on the principle of ergonomics, they are used to keep workers relaxed and comfortable and to eliminate the stress of repetitious movements, thus potentially increasing the worker’s productivity. The science of ergonomics works to design the job, equipment, and the workplace to fit the worker and in doing so, meet the goals of both health and productivity. Ergonomic work stations are important in both factory and manufacturing settings because they reduce stress and help to eliminate injuries. This is a vital concern, as injuries from ergonomic issues make up one-third of the 1.7 million work injuries per year. 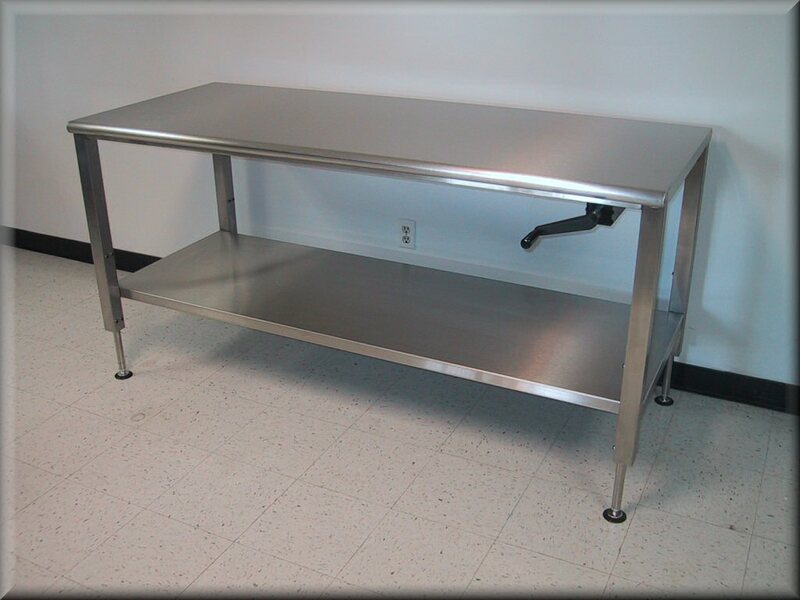 Ergonomic workstations can include work benches, lab furniture, computer workstations, command operation centers, assembly line stations, office furniture, and much more, and they are needed in almost every business within every industry. They are necessary to help prevent unwanted stress through bending, lifting, reaching, or twisting. Because of the amount of stress reduction and lessening of worker injuries, the benefits that come from ergonomic workstations far outweigh their cost. Ergonomic workstations can help to keep workers stress- and injury-free and at a high level of productivity. There are two key elements to effective ergonomic workstations: modularity and adjustability. Modularity is important when there is more than one person working in the same workstation, since modular ergonomic workstations have components that can be rearranged. Shelves, cabinets, and drawers can be suited to workers’ needs by being placed in various locations in the workstation. Adjustable ergonomic workstations can also be changed to fit the special needs of a specific worker. Some common worker injuries that adjustable ergonomic workstations can target include repetitive strain injury, carpal tunnel syndrome, and muscular skeletal disorder. In this type of ergonomic workstation, aspects such as the height of desks, chairs, drawers, cabinets, and keyboard platforms should all be adjustable. In order to design a workstation that is truly ergonomic, it is essential to consider anthropometry. Anthropometry is the study of the relative measurement of bodily dimensions, including height, weight, and girth; these measurements are considered when analyzing workstations. A complete understanding of the human form is essential in order to meet its needs in an efficient manner. Ergonomic Workstations Ergonomic workstations are created to accommodate workers and to adapt to the worker, rather than forcing the worker to adapt to his or her work environment.